The Berkeley Packet Filter provides a raw interface to data link layers in a protocol independent fashion. All packets on the network, even those destined for other hosts, are accessible through this mechanism. The packet filter appears as a character special device, /dev/bpf. After opening the device, the file descriptor must be bound to a specific network interface with the BIOCSETIF ioctl. A given interface can be shared by multiple listeners, and the filter underlying each descriptor will see an identical packet stream. A separate device file is required for each minor device. If a file is in use, the open will fail and errno will be set to EBUSY. The packet filter will support any link level protocol that has fixed length headers. Currently, only Ethernet, SLIP, and PPP drivers have been modified to interact with bpf. Since packet data is in network byte order, applications should use the byteorder(3) macros to extract multi-byte values. A packet can be sent out on the network by writing to a bpf file descriptor. The writes are unbuffered, meaning only one packet can be processed per write. Currently, only writes to Ethernets and SLIP links are supported. bpf devices deliver packet data to the application via memory buffers provided by the application. The buffer mode is set using the BIOCSETBUFMODE ioctl, and read using the BIOCGETBUFMODE ioctl. By default, bpf devices operate in the BPF_BUFMODE_BUFFER mode, in which packet data is copied explicitly from kernel to user memory using the read(2) system call. The user process will declare a fixed buffer size that will be used both for sizing internal buffers and for all read(2) operations on the file. This size is queried using the BIOCGBLEN ioctl, and is set using the BIOCSBLEN ioctl. Note that an individual packet larger than the buffer size is necessarily truncated. bpf devices may also operate in the BPF_BUFMODE_ZEROCOPY mode, in which packet data is written directly into two user memory buffers by the kernel, avoiding both system call and copying overhead. Buffers are of fixed (and equal) size, page-aligned, and an even multiple of the page size. The maximum zero-copy buffer size is returned by the BIOCGETZMAX ioctl. Note that an individual packet larger than the buffer size is necessarily truncated. bz_bufa is a pointer to the userspace address of the first buffer that will be filled, and bz_bufb is a pointer to the second buffer. bpf will then cycle between the two buffers as they fill and are acknowledged. The header structure of each buffer, including all padding, should be zeroed before it is configured using BIOCSETZBUF. Remaining space in the buffer will be used by the kernel to store packet data, laid out in the same format as with buffered read mode. The kernel and the user process follow a simple acknowledgement protocol via the buffer header to synchronize access to the buffer: when the header generation numbers, bzh_kernel_gen and bzh_user_gen, hold the same value, the kernel owns the buffer, and when they differ, userspace owns the buffer. While the kernel owns the buffer, the contents are unstable and may change asynchronously; while the user process owns the buffer, its contents are stable and will not be changed until the buffer has been acknowledged. Initializing the buffer headers to all 0's before registering the buffer has the effect of assigning initial ownership of both buffers to the kernel. The kernel signals that a buffer has been assigned to userspace by modifying bzh_kernel_gen, and userspace acknowledges the buffer and returns it to the kernel by setting the value of bzh_user_gen to the value of bzh_kernel_gen. * Return ownership of a buffer to the kernel for reuse. * Check whether a buffer has been assigned to userspace by the kernel. * Return true if userspace owns the buffer, and false otherwise. The user process may force the assignment of the next buffer, if any data is pending, to userspace using the BIOCROTZBUF ioctl. This allows the user process to retrieve data in a partially filled buffer before the buffer is full, such as following a timeout; the process must recheck for buffer ownership using the header generation numbers, as the buffer will not be assigned to userspace if no data was present. As in the buffered read mode, kqueue(2), poll(2), and select(2) may be used to sleep awaiting the availability of a completed buffer. They will return a readable file descriptor when ownership of the next buffer is assigned to user space. In the current implementation, the kernel may assign zero, one, or both buffers to the user process; however, an earlier implementation maintained the invariant that at most one buffer could be assigned to the user process at a time. In order to both ensure progress and high performance, user processes should acknowledge a completely processed buffer as quickly as possible, returning it for reuse, and not block waiting on a second buffer while holding another buffer. In addition to FIONREAD the following commands may be applied to any open bpf file. The (third) argument to ioctl(2) should be a pointer to the type indicated. BIOCGBLEN (u_int) Returns the required buffer length for reads on bpf files. BIOCSBLEN (u_int) Sets the buffer length for reads on bpf files. The buffer must be set before the file is attached to an interface with BIOCSETIF. If the requested buffer size cannot be accommodated, the closest allowable size will be set and returned in the argument. A read call will result in EIO if it is passed a buffer that is not this size. BIOCGDLT (u_int) Returns the type of the data link layer underlying the attached interface. EINVAL is returned if no interface has been specified. The device types, prefixed with "DLT_", are defined in <net/bpf.h>. BIOCPROMISC Forces the interface into promiscuous mode. All packets, not just those destined for the local host, are processed. Since more than one file can be listening on a given interface, a listener that opened its interface non-promiscuously may receive packets promiscuously. This problem can be remedied with an appropriate filter. BIOCFLUSH Flushes the buffer of incoming packets, and resets the statistics that are returned by BIOCGSTATS. BIOCGETIF (struct ifreq) Returns the name of the hardware interface that the file is listening on. The name is returned in the ifr_name field of the ifreq structure. All other fields are undefined. BIOCSETIF (struct ifreq) Sets the hardware interface associate with the file. This command must be performed before any packets can be read. The device is indicated by name using the ifr_name field of the ifreq structure. Additionally, performs the actions of BIOCFLUSH. (struct timeval) Set or get the read timeout parameter. The argument specifies the length of time to wait before timing out on a read request. This parameter is initialized to zero by open(2), indicating no timeout. bs_drop the number of packets which were accepted by the filter but dropped by the kernel because of buffer overflows (i.e., the application's reads are not keeping up with the packet traffic). BIOCIMMEDIATE (u_int) Enable or disable "immediate mode", based on the truth value of the argument. When immediate mode is enabled, reads return immediately upon packet reception. Otherwise, a read will block until either the kernel buffer becomes full or a timeout occurs. This is useful for programs like rarpd(8) which must respond to messages in real time. The default for a new file is off. The filter program is pointed to by the bf_insns field while its length in units of 'struct bpf_insn' is given by the bf_len field. See section FILTER MACHINE for an explanation of the filter language. The only difference between BIOCSETF and BIOCSETFNR is BIOCSETF performs the actions of BIOCFLUSH while BIOCSETFNR does not. BIOCSETWF (struct bpf_program) Sets the write filter program used by the kernel to control what type of packets can be written to the interface. See the BIOCSETF command for more information on the bpf filter program. The current version numbers are given by BPF_MAJOR_VERSION and BPF_MINOR_VERSION from <net/bpf.h>. An incompatible filter may result in undefined behavior (most likely, an error returned by ioctl() or haphazard packet matching). (u_int) Set or get the status of the "header complete" flag. Set to zero if the link level source address should be filled in automatically by the interface output routine. Set to one if the link level source address will be written, as provided, to the wire. This flag is initialized to zero by default. (u_int) These commands are obsolete but left for compatibility. Use BIOCSDIRECTION and BIOCGDIRECTION instead. Set or get the flag determining whether locally generated packets on the interface should be returned by BPF. Set to zero to see only incoming packets on the interface. Set to one to see packets originating locally and remotely on the interface. This flag is initialized to one by default. (u_int) Set or get the setting determining whether incoming, outgoing, or all packets on the interface should be returned by BPF. Set to BPF_D_IN to see only incoming packets on the interface. Set to BPF_D_INOUT to see packets originating locally and remotely on the interface. Set to BPF_D_OUT to see only outgoing packets on the interface. This setting is initialized to BPF_D_INOUT by default. (u_int) Set or get format and resolution of the time stamps returned by BPF. Set to BPF_T_MICROTIME, BPF_T_MICROTIME_FAST, BPF_T_MICROTIME_MONOTONIC, or BPF_T_MICROTIME_MONOTONIC_FAST to get time stamps in 64-bit struct timeval format. Set to BPF_T_NANOTIME, BPF_T_NANOTIME_FAST, BPF_T_NANOTIME_MONOTONIC, or BPF_T_NANOTIME_MONOTONIC_FAST to get time stamps in 64-bit struct timespec format. Set to BPF_T_BINTIME, BPF_T_BINTIME_FAST, BPF_T_NANOTIME_MONOTONIC, or BPF_T_BINTIME_MONOTONIC_FAST to get time stamps in 64-bit struct bintime format. Set to BPF_T_NONE to ignore time stamp. All 64-bit time stamp formats are wrapped in struct bpf_ts. The BPF_T_MICROTIME_FAST, BPF_T_NANOTIME_FAST, BPF_T_BINTIME_FAST, BPF_T_MICROTIME_MONOTONIC_FAST, BPF_T_NANOTIME_MONOTONIC_FAST, and BPF_T_BINTIME_MONOTONIC_FAST are analogs of corresponding formats without _FAST suffix but do not perform a full time counter query, so their accuracy is one timer tick. The BPF_T_MICROTIME_MONOTONIC, BPF_T_NANOTIME_MONOTONIC, BPF_T_BINTIME_MONOTONIC, BPF_T_MICROTIME_MONOTONIC_FAST, BPF_T_NANOTIME_MONOTONIC_FAST, and BPF_T_BINTIME_MONOTONIC_FAST store the time elapsed since kernel boot. This setting is initialized to BPF_T_MICROTIME by default. BIOCFEEDBACK (u_int) Set packet feedback mode. This allows injected packets to be fed back as input to the interface when output via the interface is successful. When BPF_D_INOUT direction is set, injected outgoing packet is not returned by BPF to avoid duplication. This flag is initialized to zero by default. BIOCLOCK Set the locked flag on the bpf descriptor. This prevents the execution of ioctl commands which could change the underlying operating parameters of the device. (u_int) Get or set the current bpf buffering mode; possible values are BPF_BUFMODE_BUFFER, buffered read mode, and BPF_BUFMODE_ZBUF, zero-copy buffer mode. BIOCSETZBUF (struct bpf_zbuf) Set the current zero-copy buffer locations; buffer locations may be set only once zero-copy buffer mode has been selected, and prior to attaching to an interface. Buffers must be of identical size, page-aligned, and an integer multiple of pages in size. The three fields bz_bufa, bz_bufb, and bz_buflen must be filled out. If buffers have already been set for this device, the ioctl will fail. BIOCGETZMAX (size_t) Get the largest individual zero-copy buffer size allowed. As two buffers are used in zero-copy buffer mode, the limit (in practice) is twice the returned size. As zero-copy buffers consume kernel address space, conservative selection of buffer size is suggested, especially when there are multiple bpf descriptors in use on 32-bit systems. BIOCROTZBUF Force ownership of the next buffer to be assigned to userspace, if any data present in the buffer. 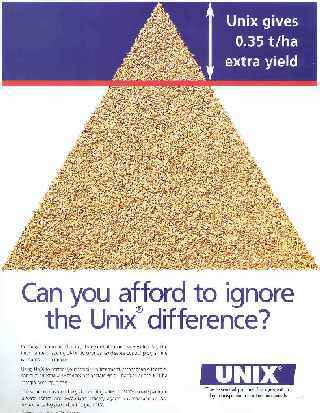 If no data is present, the buffer will remain owned by the kernel. This allows consumers of zero-copy buffering to implement timeouts and retrieve partially filled buffers. In order to handle the case where no data is present in the buffer and therefore ownership is not assigned, the user process must check bzh_kernel_gen against bzh_user_gen. bh_tstamp The time at which the packet was processed by the packet filter. bh_caplen The length of the captured portion of the packet. This is the minimum of the truncation amount specified by the filter and the length of the packet. bh_datalen The length of the packet off the wire. This value is independent of the truncation amount specified by the filter. bh_hdrlen The length of the bpf header, which may not be equal to sizeof(struct bpf_xhdr) or sizeof(struct bpf_hdr). The bh_hdrlen field exists to account for padding between the header and the link level protocol. The purpose here is to guarantee proper alignment of the packet data structures, which is required on alignment sensitive architectures and improves performance on many other architectures. The packet filter ensures that the bpf_xhdr, bpf_hdr and the network layer header will be word aligned. Currently, bpf_hdr is used when the time stamp is set to BPF_T_MICROTIME, BPF_T_MICROTIME_FAST, BPF_T_MICROTIME_MONOTONIC, BPF_T_MICROTIME_MONOTONIC_FAST, or BPF_T_NONE for backward compatibility reasons. Otherwise, bpf_xhdr is used. However, bpf_hdr may be deprecated in the near future. Suitable precautions must be taken when accessing the link layer protocol fields on alignment restricted machines. (This is not a problem on an Ethernet, since the type field is a short falling on an even offset, and the addresses are probably accessed in a bytewise fashion). Additionally, individual packets are padded so that each starts on a word boundary. This requires that an application has some knowledge of how to get from packet to packet. The macro BPF_WORDALIGN is defined in <net/bpf.h> to facilitate this process. It rounds up its argument to the nearest word aligned value (where a word is BPF_ALIGNMENT bytes wide). For the alignment mechanisms to work properly, the buffer passed to read(2) must itself be word aligned. The malloc(3) function will always return an aligned buffer. A filter program is an array of instructions, with all branches forwardly directed, terminated by a return instruction. Each instruction performs some action on the pseudo-machine state, which consists of an accumulator, index register, scratch memory store, and implicit program counter. The k field is used in different ways by different instructions, and the jt and jf fields are used as offsets by the branch instructions. The opcodes are encoded in a semi-hierarchical fashion. There are eight classes of instructions: BPF_LD, BPF_LDX, BPF_ST, BPF_STX, BPF_ALU, BPF_JMP, BPF_RET, and BPF_MISC. Various other mode and operator bits are or'd into the class to give the actual instructions. The classes and modes are defined in <net/bpf.h>. Below are the semantics for each defined bpf instruction. We use the convention that A is the accumulator, X is the index register, P packet data, and M scratch memory store. P[i:n] gives the data at byte offset "i" in the packet, interpreted as a word (n=4), unsigned halfword (n=2), or unsigned byte (n=1). M[i] gives the i'th word in the scratch memory store, which is only addressed in word units. The memory store is indexed from 0 to BPF_MEMWORDS - 1. k, jt, and jf are the corresponding fields in the instruction definition. "len" refers to the length of the packet. BPF_LD These instructions copy a value into the accumulator. The type of the source operand is specified by an "addressing mode" and can be a constant ( BPF_IMM), packet data at a fixed offset ( BPF_ABS), packet data at a variable offset ( BPF_IND), the packet length ( BPF_LEN), or a word in the scratch memory store ( BPF_MEM). For BPF_IND and BPF_ABS, the data size must be specified as a word ( BPF_W), halfword ( BPF_H), or byte ( BPF_B). The semantics of all the recognized BPF_LD instructions follow. BPF_LDX These instructions load a value into the index register. Note that the addressing modes are more restrictive than those of the accumulator loads, but they include BPF_MSH, a hack for efficiently loading the IP header length. BPF_ST This instruction stores the accumulator into the scratch memory. We do not need an addressing mode since there is only one possibility for the destination. BPF_STX This instruction stores the index register in the scratch memory store. BPF_ALU The alu instructions perform operations between the accumulator and index register or constant, and store the result back in the accumulator. For binary operations, a source mode is required ( BPF_K or BPF_X). BPF_JMP The jump instructions alter flow of control. Conditional jumps compare the accumulator against a constant ( BPF_K) or the index register ( BPF_X). If the result is true (or non-zero), the true branch is taken, otherwise the false branch is taken. Jump offsets are encoded in 8 bits so the longest jump is 256 instructions. However, the jump always ( BPF_JA) opcode uses the 32 bit k field as the offset, allowing arbitrarily distant destinations. All conditionals use unsigned comparison conventions. BPF_RET The return instructions terminate the filter program and specify the amount of packet to accept (i.e., they return the truncation amount). A return value of zero indicates that the packet should be ignored. The return value is either a constant ( BPF_K) or the accumulator ( BPF_A). The miscellaneous category was created for anything that does not fit into the above classes, and for any new instructions that might need to be added. Currently, these are the register transfer instructions that copy the index register to the accumulator or vice versa. The bpf interface provides the following macros to facilitate array initializers: BPF_STMT(opcode, operand) and BPF_JUMP(opcode, operand, true_offset, false_offset). Various programs use BPF to send (but not receive) raw packets (cdpd, lldpd, dhcpd, dhcp relays, etc. are good examples of such programs). They do not need incoming packets to be send to them. Turning this option on makes new BPF users to be attached to write-only interface list until program explicitly specifies read filter via pcap_set_filter(). This removes any performance degradation for high-speed interfaces. Permits zero-copy to be used with net BPF readers. Use with caution. Maximum number of instructions that BPF program can contain. Use tcpdump(1) -d option to determine approximate number of instruction for any filter. Steven McCanne, of Lawrence Berkeley Laboratory, implemented BPF in Summer 1990. Much of the design is due to Van Jacobson. Support for zero-copy buffers was added by Robert N. M. Watson under contract to Seccuris Inc.
Data link protocols with variable length headers are not currently supported. The SEESENT, DIRECTION, and FEEDBACK settings have been observed to work incorrectly on some interface types, including those with hardware loopback rather than software loopback, and point-to-point interfaces. They appear to function correctly on a broad range of Ethernet-style interfaces.